Do you have a difficult time walking from the grocery store parking lot to the front door because you feel terribly exhausted? Do you nod off while sitting at your desk? Or are you finding most days that you are just not motivated to do simple tasks like running errands? Maybe you’ve visited your doctor regarding this frustrating fatigue, only to find that he has no concrete answer for you. These could all be signs that you may be suffering from chronic fatigue syndrome. “This is not the kind of worn out feeling that goes away with a little needed rest. 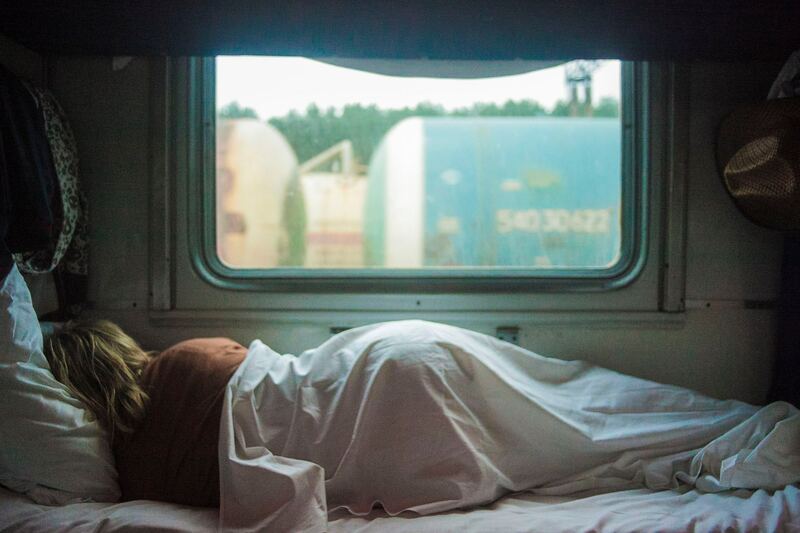 Instead, it is ongoing and can dramatically limit your ability to do ordinary daily activities,” says Lori Gallagher MS, CNS, LDN, as she describes the symptoms of chronic fatigue syndrome. Generally, CFS is hard to diagnose medically. There are no specific tests for it, and other illnesses can cause similar debilitating symptoms. Your medical doctor has to rule out other diseases before making a diagnosis of CFS. “This waiting game can be very frustrating when you just want some relief. So unfortunately patients are often left to their own devices or worse prescribed anti-depressants.” says Lori. If you are tired of being sick and tired, it may be time to dig deeper to get to the root of your declining health. Functional medicine can help you overcome fatigue and many of the symptoms plaguing your life. According to Lori, It offers a different perspective. “The functional approach takes a whole-person view, and yet also molecular view, with tools and specialized testing to evaluate the biochemistry of cells, tissues and organs – and how well they are actually functioning. Because everything is interconnected, there is usually more than one thing out of balance resulting in the condition,” she continued. Lori, as a nutritionist trained in functional medicine, says that there are key areas that need to be addressed to help restore balance and get you feeling better. Lori says stress and poor sleep can be a trigger for the development of chronic fatigue. So supporting your body’s ability to manage stress and sleep deeply naturally is vital to full recovery. Here are some tips for you to incorporate to begin to free your body from fatigue. You are probably thinking that you don’t have the energy to exercise. But I’m talking about 10-15 minutes daily of low impact stretching and walking, take it slow and work up to more. Movement helps the body work optimally moving lymph, supporting proper digestion and lowering stress hormones. Tune in next week to watch my new video on stretching techniques that will help you get moving for sure. Learning to breath from your diaphragm, for deeper breath, allows you to take in more life-giving oxygen to fuel your cells. Incorporating deep breathing exercises and Low Pressure Fitness can help your body learn to better manage its response to stress. If you are not sleeping well try unplugging all technology two hours prior to bed and read a paper bound book instead. My favorite way to relax before bed – taking a soothing bath. I enjoy meditating while soaking in an Epsom salt and lavender essential oil bath. This combination is so luxurious for your mind, your spirit and your muscles. Try it and you’ll spent a day at the spa in just 20 minutes! Also, keep your bedroom dark or wear an eye mask. Try creating a sleeping oasis and diffuse essential oils like lavender or chamomile in your bedroom for a little help relaxing. Go ahead and try some of these strategies right away for some relief. Then be sure to contact my colleague Lori Gallagher MS, CNS, LDN to help you get to the true root of your chronic fatigue. For Tina McDermott clients she is offering a special discount of 15% off on her initial functional nutrition evaluation. Lori’s advanced training and credentials include a Master of Science degree in Human Nutrition from the University of Bridgeport, CNS national Board Certification, licensure through the state of Maryland, and an apprenticeship with a neurological rehabilitation specialist. It was here that she intimately worked with neurological and immunological conditions such as chronic fatigue, multiple sclerosis, Lyme disease matrix, autism and other auto-immune diseases. Click here to go to her website and book your session.